We’d love your help. Let us know what’s wrong with this preview of As Bright as Heaven by Susan Meissner. In 1918, Philadelphia was a city teeming with promise. Even as its young men went off to fight in the Great War, there were opportunities for a fres From the acclaimed author of Secrets of a Charmed Life and A Bridge Across the Ocean comes a new novel set in Philadelphia during the Spanish flu epidemic of 1918, which tells the story of a family reborn through loss and love. To ask other readers questions about As Bright as Heaven, please sign up. Is this going to be available as an Audiobook? I do not see it as a pre-order on Audible. Susan Meissner Not sure why it wasn't up on Audible the first day but it was the second. Sorry about that! After finishing reading this book, I still couldn't figure out where the title comes from or ties into story line? Susan Meissner’s writing is like a warm hug or a slow dance or a good wine. It just flows seamlessly and gets you into your soul. Personally, I have a tendency to romanticize the past - historical fiction holds such a dear place in my heart, I love that I can be entertained by fiction while being educated about a period of time. But definitely, not all of it is romantic. And in As Bright As Heaven, Susan Meissner has given a voice to so many who experienced a horrible plague, one that has seemin Susan Meissner’s writing is like a warm hug or a slow dance or a good wine. It just flows seamlessly and gets you into your soul. Told from several perspectives, Meissner was able to give a voice to four different girls and women in different stages of life effectively and convincingly. And death. Death is almost a character in this story, present at all turns and ironically taking on a life of its own. There is love and there is loss and there is the story of a family that will stick with you for a very long time. And maybe some tears. Highly recommend. 1918, a family after a tragic loss, moves from Quakertown to Philadelphia when the childless uncle invites the father of this family to work with him as an undertaker and become heir to his business and home. Philadelphia is a place where Thomas Bright thought he could give a better life to his wife and three daughters. They move into the funeral home so how could this book not be about death, given the business ? But death appears in ways that could not be anticipated with the outbreak of the S 1918, a family after a tragic loss, moves from Quakertown to Philadelphia when the childless uncle invites the father of this family to work with him as an undertaker and become heir to his business and home. Philadelphia is a place where Thomas Bright thought he could give a better life to his wife and three daughters. They move into the funeral home so how could this book not be about death, given the business ? But death appears in ways that could not be anticipated with the outbreak of the Spanish flu and in ways that they could not imagine would touch their lives. It wasn’t until I read the author’s note after I read the book that I learned that Philadelphia was one of the hardest hit places. The novel begins in a beautifully introspective way with Pauline Bright’s narrative which tells of their loss and how she copes with the grief. It continues in alternating chapters from the perspective of her three daughters. Maggie who is 12 at the time is feisty and good hearted and so observant, not just about her surroundings but about her family as well. Willa is 6 and not much more to say about her at least in the beginning but she grows and changes. Evelyn at 15 is smart, inquisitive, and as observant as her sister and a prolific reader. Susan Meissner has written a fascinating work of historical fiction reflecting on the terrible impact of the flu epidemic, the death and misery it caused, as well as depicting how families were impacted when their loved ones went off to fight in WWI. It became more than a book about grief and death, but about how people can dig deep with themselves to move forward, about how an orphan baby brought hope and joy to this family when it seemed impossible. The character development is just so good and I was drawn to each of these characters. The ending, though, was just a little too neat. After reading the author’s note , it’s obvious how well researched this novel is. It’s a good story with characters to remember set in the middle of a tough time in history and I recommend it ! The Great War. The Spanish flu. A year that took more than just soldiers in 1918. This one took me by the heart and squeezed it until I lost my breath and then slowly released it. Such heartache in a family who have experienced the pain of losing a baby. The Bright family moves to Philadelphia in the process of healing and starting a new life by taking over an uncle's funeral business. Death hovers over them on a daily basis until the Spanish flu steps in and takes from them and thousands of othe The Great War. The Spanish flu. A year that took more than just soldiers in 1918. Such heartache in a family who have experienced the pain of losing a baby. The Bright family moves to Philadelphia in the process of healing and starting a new life by taking over an uncle's funeral business. Death hovers over them on a daily basis until the Spanish flu steps in and takes from them and thousands of others, more loved ones. The war rages overseas and just as the family experiences more sadness, the brightness of an orphan boy is a healing balm to their ravaged hearts. As the Bright family recovers and mends, their happiness is again threatened. Perspectives are told from the mother, Pauline, and her 3 daughters, Evie, Maggie and Willa. Meissner does a remarkable job recounting history during a dark period and giving it light. Jen Dean wrote: "Jen, great review..."
I had previously read “A Bridge Across The Ocean” by Ms. Meissner and I was anxious to read this new novel. Wow, it is one of the best books that I have read this year!!! The prose is beautiful and flowing and amongst all of the heartache and physical and emotional difficulties the human spirit shines brightly! The setting is Philadelphia around 1917 and on. The Bright family, husband Thomas, wife Pauline and their three daughters have just moved to Philadelphia from a poor tobacco town to join Tom’s uncle’s funeral business. The Bright’s have recently lost their young infant son and have decided that a move would be a positive thing for them, a new environment, better education for their girls, a solid well paying job for Tom with the knowledge that he will someday inherit the funeral business from his childless uncle. The novel is so multi-layered that it’s difficult to do it justice in a review. It is told from multiple perspectives of family members. The war begins to really rage in Europe and soon even Tom, in his 40’s, is called to serve. Not long after their father leaves the Spanish flu begins to spread it’s ugly tentacles across the US, having started in Europe. Many soldiers have died while in service and they also return to the US forts and hospitals and the flu spreads like a wildfire. I didn’t know much about this terrible time but Ms. Meissner has done extensive research and there is a wealth of knowledge here. She helps us see the extent of the human suffering, the victims falling to the disease so quickly, the undertakers and gravediggers can’t work fast enough or provide enough caskets for the dead. In the end it’s told that around 10,000 people in Philadelphia alone died from the flu. It’s at this time that Pauline and her daughter Maggie volunteer to take food to the sick and Maggie hears the cry of a baby, enters his home and finds his dead mother and what she believes to be his dying sister. She bundles the filthy, untended baby in her coat and returns to her mother. They take in the child and raise it as their own having provided all of the information that they know to the police and other authorities. The family experiences the horror of the flu as they "lose loved ones". Through the years, as their father returns from the war to care for the children and eventually run the funeral home they experience happiness again. There are so many interesting stories of the girls, their interests, loves and losses that are all well developed and I felt as though I knew each of the girls. This book made me realize that the flu in the end claimed almost one third of the population in the world, more than all of the soldiers that died in the World Wars. It’s hard to even imagine a devastating disease such as this ever happening again, but there is always that chance that science may not be able to keep up with the ever changing viruses. I would recommend this book to everyone, there is so much to like about this book. The interesting plot with well researched facts, the well rounded characters believable and incredible and the writing flows like a river. Buy this book, read it and pass it on, it’s that good. I just loved this family, the Bright’s. This book begins in 1918 during the Great War and the Spanish flu epidemic, when this family of five, the parents and three daughter’s moves from Quakertown to Philadelphia. The father’s uncle gives him the job of undertaker to his funeral home and heir to his estate. The chapters are told in alternating chapters by the woman and girls of the family. From life in the funeral home, the neighbors, the Great War, the flu, prohibition... so much touched on in th I just loved this family, the Bright’s. This book begins in 1918 during the Great War and the Spanish flu epidemic, when this family of five, the parents and three daughter’s moves from Quakertown to Philadelphia. The father’s uncle gives him the job of undertaker to his funeral home and heir to his estate. From life in the funeral home, the neighbors, the Great War, the flu, prohibition... so much touched on in this book. The first thing I noticed from the Audiobook is that the reader/readers SPEAKING VOICES WERE GOOD- they had the potential to hold my attention, but I honestly thought some of the writing felt like a package of store bought cookies. The tempo didn’t have many ranges - The cookies - characters - were lined up in a row in their container- waiting their turn to be eaten ( to speak and share their point of view). I admit I’ve developed a little negative pet peeve when a child dies at the start of a novel. We never get to know the dead child ....so ‘everything’ that follows - grief - stories of the child’s characteristics - etc. are all through other characters whom we haven’t gotten to know yet. So....I had to jump a little hurdle over Henry...the little baby who died. Love is always a running theme. We are invited into the personal intimate story of this family: Tom and Pauline and their three daughters, Evie, Maggie, and Willa, live in funeral parlor when the Spanish Flu breaks out. Many of the side plots felt stronger than the flu itself. Overall .....this book kept me interested enough to know what was coming next ....but if I think about it too much my rating will go down. I liked it...but something about mixing kids- kissing - embalming - grief -love loss- the Spanish Flu - lots of death and - and tinker bell happy ever after endings all together .....disrupts my chatterbox voice from a peaceful sleep. 3.5 — I’ll even rate up ....mark 4 stars.....but don’t let my chatterbox voice rate it....it’s a little more judgmental than my surface breezy listening. As an Audiobook ‘companion’, I liked it. I just needed to stay out of my head- and not think too much. 1918, Philadelphia, a city with many opportunities, a city that the Bright family, Pauline, Thomas and their three daughters move to for just that purpose. Thomas's elderly, childless uncle wants them to live in his large house, and for Thomas to train and takeover his mortuary business. Leaving Quakertown behind, this is what the family looks forward to, a new and better life, especially after the tragedy of a terrific loss. I fell in love with this family, and we hear individually from each of 1918, Philadelphia, a city with many opportunities, a city that the Bright family, Pauline, Thomas and their three daughters move to for just that purpose. Thomas's elderly, childless uncle wants them to live in his large house, and for Thomas to train and takeover his mortuary business. Leaving Quakertown behind, this is what the family looks forward to, a new and better life, especially after the tragedy of a terrific loss. I fell in love with this family, and we hear individually from each of them in alternating chapters. Things look promising for them but then the Spanish flu comes to call, an unwelcome Spector that causes further loss. Such a winning combination of characters, history and a first hand look at the devastation of War. The Spanish flu hit Philadelphia extremely hard, the hardest in the nation and caused untold hardship and heartache for many. The Bright family will lose much but also gain a baby in an unusual manner, and this child will keep the family moving forward. We watch as the girls grow, but there is a secret one is keeping that will come back to haunt. Prohibition is also instated at this time so we also are treated to a look at some of the results of this act. This is a wonderfully told story, rich in family, love, and history. So many details make this book stand out, details for n the mortuary business and in everyday lives. Sorrows and hurts, joys and happiness. An immersive story that tugs at the heart. Brenda and I were lost in a coulee with four of our Traveling Sisters reading As Bright as Heaven and we were all drawn into this eye-opening, emotional, and heartbreaking read. It led to a very interesting discussion where we shared our thoughts on the things that we learned from this read and also our thoughts on grief. AS BRIGHT AS HEAVEN by SUSAN MEISSNER is a story about love, loss and family. It was such a fantastic, enjoyable and beautifully written historical fiction novel that we thorou Brenda and I were lost in a coulee with four of our Traveling Sisters reading As Bright as Heaven and we were all drawn into this eye-opening, emotional, and heartbreaking read. It led to a very interesting discussion where we shared our thoughts on the things that we learned from this read and also our thoughts on grief. AS BRIGHT AS HEAVEN by SUSAN MEISSNER is a story about love, loss and family. It was such a fantastic, enjoyable and beautifully written historical fiction novel that we thoroughly enjoyed from start to finish. This is the first book that most of us have read that centered around the Spanish Flu and it was definitely an eye-opening experience for us as we knew little about the Spanish Flu. We really appreciated what we learned here with some of the devastating effects that the pandemic of 1918 had on the world. Susan Meissner does a good job balancing history and with focusing on the impact it had on the Bright family. 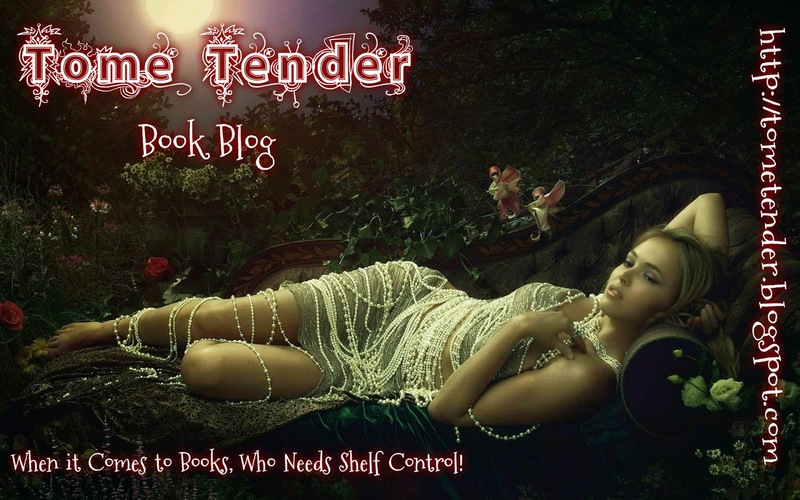 SUSAN MEISSNER does such a fantastic job creating an interesting and unique setting here with this story that really added some layers to the storyline for us. A few of us had different reactions to the setting that brought out different emotions for us. It gave us a different and interesting perspective to the tragic events of such a devastating pandemic. Susan Meissner delivers a well-written and compelling read here with interesting, honest and believable characters that touched all of our hearts. We absolutely fell in love with the Bright family and thoroughly enjoyed reading this story through the four different perspectives of the Bright women/girls of the family. Each given a strong voice that set them apart with their age and personalities, allowing us to feel for each one. The cover of this book is so beautiful and the title is extremely fitting to this story! This was definitely an interesting, entertaining, enjoyable and unforgettable story that I am so happy to have discussed and read with my fellow Traveling Sisters. Would recommend! The Brights lost something immeasurable. Little Henry. And now they are left empty, searching for something they can’t quite express. Unable to fill it, they leave Quakertown for Philadelphia. Finding a new home with Uncle Fred, living in his Funeral Home, helping with the family business. Pauline misses her son Henry desperately. Working for Fred, doing makeup and hair for the deceased, she has found a way to cope. Her middle daughter Maggie helps with the bodies as well, wanting to make things perfect for them. She is strong willed and has the best of intentions. Evi, the eldest is training to be a psychologist and desperately wants to help those in need. Willa is the youngest. Above all else, she needs her family. It is the time of the Great War. When the Spanish Flu hits, it wipes out thousands of people in the Philadelphia area and Uncle Fred, Pauline and Maggie are inundated. Making rounds with her mother, helping those in need, Maggie finds a little baby boy who she fears will die if she leaves him alone. In a moment of panic, she picks him up and takes him as he reminds her of Henry - and so it begins. Everyone has a choice to make and Maggie makes hers. Life takes its toll on the Brights. Their story is not a fairytale and resilience is their middle name. “As Bright As Heaven” resonates, its characters echoing in your heart and soul. It is told from four POV’s: Pauline’s, Evi’s, Maggie’s and Willa’s. Each is very separate and distinct - which is a true feat for Susan Meissner. My favorite POV was Maggie’s. I loved how independent and fierce she was, even at a young age. Her bravery surprised me constantly. “As Bright As Heaven” is a novel about hardship, family and dealing with choices we make. It is a novel full of heart and it captured mine. I read this novel with several of my traveling sisters. We had a great discussion about this book. Thanks Sisters! Published on Goodreads and Twitter on 4.29.18. Sometimes a story just comes together and as you unwrap its layers, you find yourself more and more in love with what was written. This was the case with this reader. Susan Meissner told this story with love and a devotion to show us what the ravages of a world war and a deadly disease, that of the Spanish influenza did to families. The loss of life from both of these tragedies was staggering and no one came away unblemished in some part. Following the Bright family, their lives, their loves, their sadness, and their joy was like taking a walk through history. We learned of the tragedy a disease can bring and the devastation that is felt in people after a war is fought. This flu as the author points out in her notes randomly killed all people, those who were poor alongside those who were rich. As she continued her story, set in Philadelphia where there were over twelve thousand deaths, she involves us not only into the tragedies but also in the life of her characters. The characters become reality and across the pages they reach out to us and entangle us in their lives. If you enjoy the story of family, the story of life and death, and walking the road between the two, then this book comes highly recommended by this reader. The characters are wonderful as they show love and loss and the ability to go forward when all seems to be futile. It and they were a testament to what we do as humans when life becomes onerous. We move forward looking towards the future for better times, better minutes and hours, and better days. This was my first book by this author. I love her writing and will be looking for more of her books. This novel focuses on the Spanish flu pandemic of 1918 that killed more people than WWI. “The flu took whoever it wanted, no matter what any of us did or didn’t do.” And often it took healthy young adults, which sounds scarily familiar to what we experienced this year. I knew about the Spanish flu as a fact I’d learned in history books but this book brings it up close and personal by looking at a family that owned a funeral home, the Brights. The first half focused on the pandemic itself, while the second half focused on the aftermath for the Bright family. I did enjoy the first half of the book a little more than the last, but other readers felt the opposite. The ending was a little too tidy, but sometimes I need that in my stories, and this was one of them. I was very moved emotionally throughout, often brought to tears. The author’s writing was beautiful and I cared deeply for this family. I learned things I didn’t know, it made me think, and it touched me emotionally. "Death comes to all of us....meanwhile we fill the pages of our existence with all the love we can for as long as we can." "We only see a little bit of our stories at a time and the hard parts remind us too harshly that we’re fragile and flawed. But it isn’t all hard. Some of it is incredibly beautiful." Perfection! I absolutely adored this novel. I have never read anything about the Spanish Flu and was astounded at the number of people & families it affected. Meissners writing is flawless. She draws you in with her remarkable characters and storytelling. This is a novel not to be missed! 5+ stars. This is a wonderful novel that takes place when the Spanish flu epidemic hit the world in 1918. It appears that the words "Spanish flu" and "wonderful" should not be in the same sentence but in this case what makes the book captivating are its characters. The novel follows the Bright family as it sets in Philadelphia. While they just moved in and are getting settled, world events like the Great War (WWI) and the Spanish flu bring tragedy and challenges into their lives. The novel is told from al This is a wonderful novel that takes place when the Spanish flu epidemic hit the world in 1918. The novel is told from alternating points of view and it was completely engaging. The author did a great job developing the characters and detailing the times. A nice easy read that was entertaining and insightful in bringing the flu epidemic to the attention of readers who like myself may not have read much about this time in history. I listened to this one on audio and the narrators were good. I enjoy historical fiction stories that take a time in history that readers may not have been too familiar with and weave it into a story. As Bright As Heaven is set in Philadelphia around 1918 when men were were leaving in their droves to fight the Great War. We come to know the Thomas and Pauline Bright and their three very likable daughters Evelyn Maggie and Willa. The story gives us a glimse of how a family like the Brights cope when the Spanish Flu reaches the city and claims more than 12,000 victims. 1. My first ARC! Thank you to the publisher for providing my with an advanced copy in exchange for an honest review. 2. Apparently, 100 years ago, fifty-million people worldwide perished from the 1918 Spanish flu pandemic, the deadliest disease in history and I had NO idea. As the backdrop for this novel, I was enthralled. 3. The story follows the alternating perspectives of a wife and her 3 resilient daughters as they make a new life in Philadelphia. Their voices are spot-on authentic. Never once did I want to take my nose out of this book. 4. Be warned....It is a complete sob-fest, but so worthwhile! Books like this are why I read. I feel like I should send Susan Meissner a thank you note for giving us this gem of a book. I wanted to hug it and never let go. Lovers of historical fiction, here is a novel you’ll want to snuggle up with as soon as possible! As Bright As Heaven is the story of the Bright family, who leaves their tobacco farm to head to the big city of Philadelphia. With thi Five BRIGHT stars!! As Bright As Heaven is the story of the Bright family, who leaves their tobacco farm to head to the big city of Philadelphia. With this move, they are searching for… Change. New beginnings. Answers. As they start to settle in and adjust to their new life, their world is turned upside down. As the Great War is taking place, they worry for their friends and families and what Germany will do next. However, they suddenly realize it’s more than just war they should fear. The Spanish Flu arrives, and this pandemic sweeps across the city like a tornado, with its sudden, devastating arrival. The ghastly effects are hard to comprehend. Meissner’s use of a funeral home setting really emphasizes the deadly results of this illness. But there is much more to this book than the flu. It explores the lives of the Bright family, through love and loss, chance and choice. Meissner tells this story through the eyes of a mother and her three daughters. Alternating between their perspectives, the book flows beautifully with their respective voices. The characters are so real and so likable. I found myself caring and worrying over everyone in this novel. The writing is exquisite. And even the cover of this book is gorgeous. Susan Meissner has given us the total package. I highly recommend this novel. It’s a fascinating time in history: war, pandemic, prohibition, etc. Also, the author’s note at the end is very informative. Going into this book, I did not know how horrific The Spanish Flu was, and I am still floored by its impact. Sue Meissner’s books just get better and better with each new one; every time I pick up her latest book I hope that it will be as good as her last ones, and instead I end up liking the newest one the most. Very few authors can sustain that level of excellence; it is quite an impressive feat. As Bright as Heaven is simply fantastic: Meissner’s tale is fascinating, heartbreaking and an all-around beautifully written book. Moreover, her characters are well-developed, authentic and believable. Using Sue Meissner’s books just get better and better with each new one; every time I pick up her latest book I hope that it will be as good as her last ones, and instead I end up liking the newest one the most. Very few authors can sustain that level of excellence; it is quite an impressive feat. As Bright as Heaven is simply fantastic: Meissner’s tale is fascinating, heartbreaking and an all-around beautifully written book. Moreover, her characters are well-developed, authentic and believable. Using the four Bright females as narrators was a solid and effective choice; their various stories are slowly unfurled as the pages fly by. Each female character has a distinct personality, and I was constantly awestruck at how Meissner chose the perfect individual to reveal a particular secret or fact. I knew virtually nothing about the Spanish Flu epidemic in the United States (I knew that it had devastated parts of Europe) at the end of World War 1 before I read As Bright as Heaven. Learning about events like this is one of my favorite things about historical fiction, and I especially enjoyed that aspect in this book because it was a significant event about which I am glad I now know occurred. In her Author’s Note, Meissner states that the Spanish Flu pandemic of 1918-1919 was the deadliest disease in history, significantly worse than the Black Plague, and she chose it because it was an untold story. I am so glad that she did. There are times when I am reading a novel, and the events occurring are such that I cannot see an ending that will be satisfactory to me. There were two such plot lines in As Bright as Heaven. Without including any spoilers, Meissner managed to wrap both issues up successfully (one better than the other but both reasonable resolutions) which I felt was no small feat. I highly, highly recommend As Bright as Heaven. I received an advance review copy of this book from the Great Thought’s Ninja Review Team. All opinions are my own. 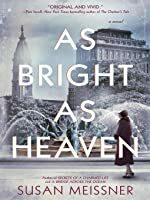 I really enjoyed As Bright as Heaven, a historical fiction story set in Philadelphia from 1918 through the mid-1920s. The story revolves around the Bright family: parents, Thomas and Pauline, and their three daughters, Evie, Maggie, and Willa. There are plenty of additional characters in the story, but it’s primarily told through the daughters’ POVs. Thomas is an undertaker, working in business with his uncle Fred at their funeral home, and becomes extremely busy with work as a result of the Spa I really enjoyed As Bright as Heaven, a historical fiction story set in Philadelphia from 1918 through the mid-1920s. The story revolves around the Bright family: parents, Thomas and Pauline, and their three daughters, Evie, Maggie, and Willa. There are plenty of additional characters in the story, but it’s primarily told through the daughters’ POVs. Thomas is an undertaker, working in business with his uncle Fred at their funeral home, and becomes extremely busy with work as a result of the Spanish Flu outbreak during this time. The flu impacted the nation as a whole, and Philadelphia was a particularly hard hit region. I’m a big historical fiction fan and thought this story was unique - I haven’t read or heard much about stories using the 1918 Spanish Flu as their premise. Even knowing this was the premise, there was a bit more tragedy throughout the book than I was anticipating. I liked all three of the Bright daughters for the most part, who were the main characters of the story. I liked that they were close and could read each other well, but also each different in their personalities - something I think is realistic among siblings in many families. "As Bright As Heaven" shows how the love of their family keeps the Bright family on a hopeful course during a difficult historical time. The family and their neighbors are touched by World War I, the deadly Spanish Flu of 1918, and Prohibition. Thomas Bright's childless uncle invites the family to move to Philadelphia, and offers to train Thomas to take over his mortuary business. His wife, Pauline, and their three daughters take turns narrating the story. An orphaned baby becomes a symbol of ho "As Bright As Heaven" shows how the love of their family keeps the Bright family on a hopeful course during a difficult historical time. The family and their neighbors are touched by World War I, the deadly Spanish Flu of 1918, and Prohibition. Thomas Bright's childless uncle invites the family to move to Philadelphia, and offers to train Thomas to take over his mortuary business. His wife, Pauline, and their three daughters take turns narrating the story. An orphaned baby becomes a symbol of hope and rebirth to the Brights who have suffered through several heartbreaking losses. Each of the three daughters has their own distinct voice and talents, and it was enjoyable to see the paths they chose. But the end of the book seemed to be trying to tie up all the loose ends by including some events that were a little too coincidental or improbable. The interesting book had a good sense of place, and the author had thoroughly researched the pandemic. This year is the centennial remembrance of the 1918 influenza pandemic which killed an estimated fifty million people worldwide, even more than the deaths due to World War I.
I was lucky enough to have an early read of this wonderful book set in Philadelphia around the outbreak of WWI. It is a unique premise and gloriously written! I read the entire, but the last PART which occurred in 1925 I read far more quickly than the rest. No synopsis in any detailed measure but the short or tall of subject matter with my reaction. It's a heartfelt tale of a family by the separation narrator sections for each female individual's "eyes". Constantly flipping. Three daughters and their Mother. (So 4 different narrator divisions for the basic form.) And most of the tale occurs in 1918-19 surrounding the Spanish Flu epidemic within Philad I read the entire, but the last PART which occurred in 1925 I read far more quickly than the rest. It's a heartfelt tale of a family by the separation narrator sections for each female individual's "eyes". Constantly flipping. Three daughters and their Mother. (So 4 different narrator divisions for the basic form.) And most of the tale occurs in 1918-19 surrounding the Spanish Flu epidemic within Philadelphia, in particular there. But the historical aspects of war and disease are stilted and reflected through a highly, highly romanticized lens. Death is even a character with an "ok" and rather trending personality. And each girl is extremely type stereotyped. Much like in Dickens (with women being either angels on earth or nasty bad ones) or with Little Women type "labels", yet they are more gently idealized for their type here. The "smart" one (like Jo), the "practical" one (like Meg), and the "fun/selfish" one (like Amy) of lighter spirit. Actually it is EXACTLY like Little Women in the stereotypes, but in a different and later time period and quite out of similar birth order. We even have the tragic one (Beth) too, but this time it is not a girl but their brother. And the youngest too, of course. Regardless, it is sad. But every single individual thread is closed tied and knotted by the end. Exactly and essentially identical to a few Hallmark movies that I've seen. Nearly antithesis of what happens in real life outcomes. Every apt pairing was easily foreseen and preordained too. I guessed one before I was on page 100. Correctly. Predictable. I wanted to know the reality of that disease, and this book didn't provide any of that medical slant detail. It didn't fully describe the embalming processes either. It vaguely did (not in any practical applications information to "how" at all) but solidly glossed over all the particulars. At points the juxtapositions of the plot and deciding about the work each girl would do upon growing up to adulthood was interesting. But to me it was all written to gush emotive reaction in the reader. And it was definitely hazy fog territory for scientific reality beyond the smell and the most polite expressions for unpleasant. It didn't at all reflect the horror of that epidemic period and apprehension to near insanity as it actually occurred. Just the terrible grief and outcomes. Overall- having it within the home too; it was just more complicated than that. It got a whole star to the positive for the Mother's copy. Her discernment within her own mother's rejecting responses and their reasons. And a few other measures of logic and knowledge depth within her thoughts. This is not my style of preferred prose at all. It's consistently redundant and cloys on me. Way, way too unrealistic in address for the most part too. People had different mannerly mores then but this large over-relationship with neighbor and with the uncle so quickly. It didn't seem actual and real enough to embed within for me. Too light in characterizations within too HEAVY and dire circumstances. I know that I am outlier on this opinion. But I did finish it, although the last part was truly a slog. This is a beautifully written book of historical fiction centered around the time of the Spanish Flu outbreak and WWI. The Brights, a farm family with three daughters, move to Philadelphia in 1918 to help their uncle in his mortuary business. When both WWI and the Spanish Flu break out, they find they are overwhelmed by the losses and sacrifices they must deal with. In the midst of their grief, they take in an orphaned baby. As time passes, each of the daughters must find h 4.5 stars rounded up. The Brights, a farm family with three daughters, move to Philadelphia in 1918 to help their uncle in his mortuary business. When both WWI and the Spanish Flu break out, they find they are overwhelmed by the losses and sacrifices they must deal with. In the midst of their grief, they take in an orphaned baby. As time passes, each of the daughters must find her way into adulthood and make her place in the world on her own terms. The story is told from the POVs of the mother, Pauline, and the 3 daughters: Evelyn, Maggie and Willa. Each girl's personality comes through so clearly, as does the mother's. Through them we get to know all the other characters as well. All the characters in the book are wonderfully portrayed, though I have to admit that I found Willa a bit annoying. I had never read about the Spanish Flu before. It was incredibly devastating and capricious in its destruction. 50 million killed worldwide; 12,191 died in Philadelphia alone. The author did a lot of research on this and it showed. The realism of the passages about the Flu were devastating to read, but added so much to the authenticity of the story. The writing is just gorgeous at times. Occasionally there is a sentence or phrase that just stops you, and you have to re-read it. If I have any dings on the book, it's that there is a major plot twist that is just too obvious. As soon as it's introduced, you know where it's going, at least I did. Also the ending is just a little too pat. But those are really minor, overall. I absolutely could not stop reading this book. Home isn’t a place where everything stays the same; it’s a place where you are safe and loved despite nothing staying the same. Change always happens. Always. As Bright as Heaven is a beautiful story about love, loss, and the surprising strength that can be found within during the darkest of times. When I think of 1918, what first comes to mind are the soldiers fighting for their lives on the battlefield, not the even deadlier war being fought on the homefront against disease and the despair it trails in its wake. Susan Meissner offers a window into a tragedy that often gets overshadowed in the history books, and she does so in the most human way possible: introducing us to a family that must rise from the ashes and mold themselves into something new. Thomas and Pauline Bright make the difficult decision to uproot their lives and move to Philadelphia after the death of their son in order to ensure a more stable future for their three daughters. But soon after the Bright family settles into the bustle of the city, the Spanish influenza settles in, as well. Spanning the course of nearly a decade, As Bright as Heaven is very much a coming-of-age story for the girls of the Bright family as they navigate the tricky waters of adolescence and adulthood, along with burdens far more troublesome than any young adult should have to bear. Meissner’s writing is incomparable. Her rich metaphors and vivid imagery instantly transport you a century into the past, and I was fascinated by the constant personifications of fate and death that linger hauntingly. It’s so easy to feel connected to these well-developed characters and their struggles. All of the women have distinct personalities and aspirations: determined Pauline, thoughtful Evelyn, passionate Maggie, and spirited Willa. The point of view alternates between each of them, yet the story flows seamlessly and I had such a hard time putting it down. As Bright as Heaven will tug at your heartstrings from start to finish. It is a brutally realistic take on a dark, unforgiving period in American history, yet optimism and hope are prevalent even when all seems lost. I simply can’t recommend this story enough; you won’t regret one moment of this thoughtful and captivating tale. The Spanish Flu is not something I know very much about and admittedly it’s not something that I’ve ever had a great interest in but Meissner writes such gorgeous prose that I was utterly fascinated by it while reading this. I honestly think she could write about anything and I would be at least mildly engaged but I was completely captivated by the Bright family and their tragic tale. This is told via the perspectives of all of the women in the Bright family, even the youngest and I loved the bir The Spanish Flu is not something I know very much about and admittedly it’s not something that I’ve ever had a great interest in but Meissner writes such gorgeous prose that I was utterly fascinated by it while reading this. I honestly think she could write about anything and I would be at least mildly engaged but I was completely captivated by the Bright family and their tragic tale. This is told via the perspectives of all of the women in the Bright family, even the youngest and I loved the birds-eye point of view this provided. You got to see how the war and the Spanish flu had an impact on adults and children and also to witness firsthand the devastation it caused just in one family, can you imagine how many countless families had similar true stories like this?! Amazing. I loved each and every member of this resilient and inspiring family, but Maggie will always have a special place in my heart. Meissner’s attention to detail is impeccable, you can see that she did her research in order to keep as historically accurate as possible with a few minor details changed that made sense to the plot. If you’re a HF fan this is a must read, it’s fascinating and the writing is just beautiful. As Bright as Heaven in three words: Heart-wrenching, Emotional and Unforgettable. I simply LOVE this bittersweet yet charming, beautifully rendered, character rich and storyline enchanting work of historical fiction with subtle hints of supernatural wonder. Once again, Susan Meissner has written a sure to be best seller that will withstand the test of time and appeal to many readers across genres. I read this as a library book, but I think I need purchase a copy for my collection of favorites. FULL REVIEW - With Sincerest Intentions - TO COME. Oh . . . if only time would stand I simply LOVE this bittersweet yet charming, beautifully rendered, character rich and storyline enchanting work of historical fiction with subtle hints of supernatural wonder. They journeyed from the tobacco fields of home to the hustle and bustle of Philadelphia in 1918. The Bright family saw a future, although unknown, with the possibilities of being as bright as their name. Little did they know, with young men going off to join the Great War, and the nightmares of the Spanish flu epidemic, their lives would become a saga of survival, fortitude, heartbreak, loss and finally hope. Three sisters would endure witnessing their father go off to war, the loss of their moth They journeyed from the tobacco fields of home to the hustle and bustle of Philadelphia in 1918. The Bright family saw a future, although unknown, with the possibilities of being as bright as their name. Little did they know, with young men going off to join the Great War, and the nightmares of the Spanish flu epidemic, their lives would become a saga of survival, fortitude, heartbreak, loss and finally hope. Three sisters would endure witnessing their father go off to war, the loss of their mother to the flu and become the only family an orphaned baby would know. He will become their beacon for the future, proof that life will go on, but one sister will bear a heavy secret that could bring the Bright family to their knees when the truth is discovered. 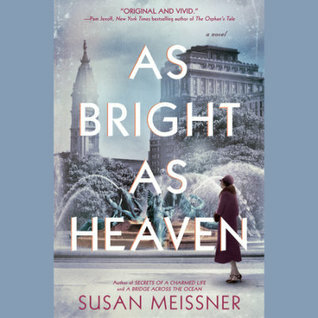 AS BRIGHT AS HEAVEN by Susan Meissner is riveting historical fiction that comes alive as we witness the trials and tribulations as well as the joys of a family who learns what is truly important in life as they cling to each other for the emotional support that only comes from the heart. Mistakes will be made with the best of intentions, secret adventures will be experienced and an entire family will come of age in a time in history that was filled with turmoil yet still believed in the spirit of good in the world. Beautifully written, this is not a book to breeze through, it is to be enjoyed and savored as we allow ourselves to enter a different time and embrace the beauty of innocence that was not destroyed by loss and heartbreak. I received a complimentary ARC edition from Berkley! All the stars!! Full review to follow.